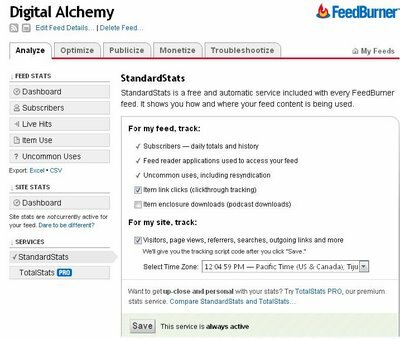 FeedBurner users now have another way to keep track of their web stats, or, more fancily, audience engagement: blog statistics service BlogBeat has been integrated into FeedBurner. 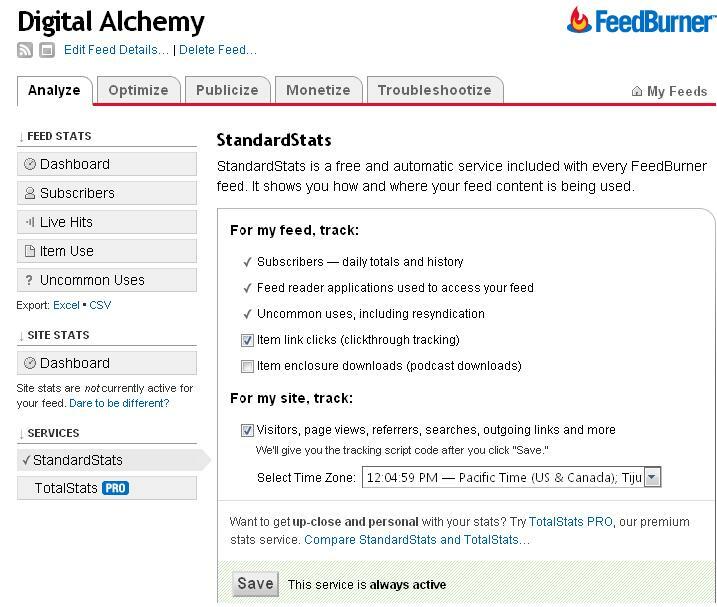 Users of the free StandardStats service will be able to track referrals, visitor trends, browser and OS breakdowns, outbound clicks, and more. All pretty standard stuff if you use Google Analytics or StatCounter, but the advantage is that you can keep track of both your feed and blog stats from one interface.